Excellent review thank you. I was trying to decide whether to re-read this or not, and you have definitely my mind up for me. Wrexham is overdue a revival i think. .
PS How’s the blog coming along? Will you be opening it up to the public soon? OK, so I’ve been avoiding the question 😐 I’ve allowed myself to become involved in some other projects (e.g. family history exploration – I’m currently immersed in WW1 trying to find out more about some great uncles’ stories). Hopefully I refocus soon? Will be forever grateful that this was one of the books we read at school. So much more fun than A Tale of Two Cities. You’re right, I think this is one of those books that transcends the Sci-Fi genre as a result of the qualities you’ve mentioned. A truly great novel in many respects. I agree, Wyndham was an excellent writer. I suppose the problem with science fiction is that they’re such page-turners we can sometimes take for granted the other elements. Your beautifully thorough review reminds me I must read it again. A wonderful story, easily Wyndham’s best, and a blueprint for modern dystopia stories. I must reread and think about the story from Josella’s view, although I do seem to remember thinking even in my high school reading that she was a strong and resourceful character, and a good match for Bill. I also liked how the cause of the “meterorite shower” wasn’t explained completely. Was it bio-weaponary, or nuclear weaponry in orbit breaking down, a combination of both, or even something else? But the greatest long term threat is not the plants but the humans (much like The Walking Dead show) and the social structure best suited for survival. You touch on all this – great review! Ah, compulsive reading at school, even in my wee backwards country. Thus of course, I hated it on sight. I wonder if I’d feel differently about it if I read it now. I thought this book was terrifying, and the worst part was how people behaved towards each other! Or even worse, HWEAoOL’s has suddenly decided I’m worth more to him dea…. no, not going there. Not hurt, just annoyed. Too many people in too small a space. I’m sure it’s the same everywhere. I’ve read the book, thought it was crap, watched the black and white movie in highschool, loved it and I see from this review there is a recent mini-series? I loved the film and I can’t remember reading the book; this is going straight on the TBR pile following your excellent write up, FF. I actually can’t remember if I’ve seen the film – I have images in my mind but I think they might be from some old creaky TV adaptation from my childhood. I’m going to watch it soon though. The book is brilliant though – well worth a place on your TBR! Thanks, Jennifer! 😀 There are a few sci-fi books that really transcend the genre – Wyndham and HG Wells are really fiction writers who just happened to use that format to tell their stories. But I’m going to go on and on till I wear down everyone’s resistance. I’ll make sci-fi fans of you all one day… bwahaha! What a story! And such an interesting exploration of character, too. To me, that’s part of what makes a great story. It’s also what helps this one go beyond just ‘sci-fi.’ It’s really a human story if I can put it that way. Glad you enjoyed re-reading it, FictionFan! Great review! I saw the film on TV when I was a kid and thought it was good. 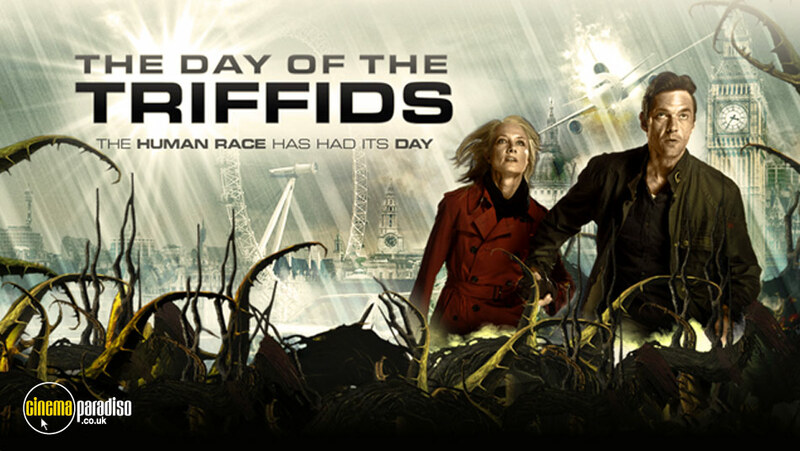 (Didn’t see the miniseries, though a miniseries seems perfect for the premise.) So the book sounds great indeed! I’m intrigued and appreciate the options. I’m trying to locate Earth Abides by George Stewart, a vintage dystopian novel. Sounds like a winner. Goodreads provided a preview and I am definitely wanting more. I tried finding a free online text but no luck yet. I don’t think it’s old enough to be out of copyright, but maybe one of the online libraries might have it. I have to find time to go back and re-read Wyndham. He was probably my favourite author during my late teenage years. While I like this novel my favourite has always been ‘The Crysalids’, which captures the worst of human frailty so accurately. How did I miss this one?? I don’t usually read much sci-fi, but this sounds so intriguing. I find it amazing how forward-thinking some writers are, envisioning entire worlds and the potential problems that might arise decades in advance. Drat, I’m starting off the week with another TBR-addition! Ha! I sometimes find visiting a fictional dystopia cheers me up about the real world. At least they haven’t created flesh-eating, walking plants… yet! Another all-time favourite! I loved all his books, but this was the standout for me. I feel a reread coming on. I almost get the feeling that some of those comments were aimed in my direction… I haven’t read this one, although I do of course know the basics and I’m more tempted with the idea that the author had some idea of what feminism really needed to overcome, and why I feel, it hasn’t got there yet… more tough love needed in my (humble) opinion! Do you know I have yet to read or see this! You’ve completely sold me. It sounds fantastic. Thank you so much for sharing your thoughts on this book. I read it many (many, many!) years ago when I read almost nothing but science fiction. I remember thinking how amazing the writing was. I think I overdid the science fiction because my reading in that genre came to a complete halt and I rarely read any science fiction now. I liked this a lot when I read it a few years ago – so far, it has been the only Wyndham novel that I really enjoyed, although I still have a few to go. I agree about Josella. She’s a very compelling character and incredibly capable – I think Wyndham dealt with gender politics better than most male SF writers of the era. 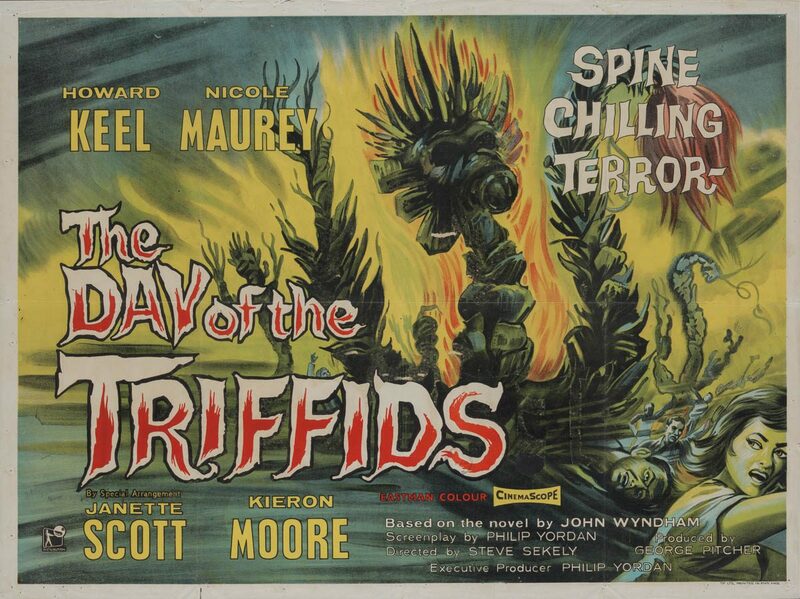 Did you find the explanation for the origins of the triffids convincing? I always thought it was a little bit muddled as to the actual cause, but then again I haven’t read it for a while so I might have forgotten. Again, never heard of this book or author-which makes me realize I am missing sooo much! This sounds like a good book, and even though I don’t normally like science fiction, this appeals to me! All those questions that you asked really got me thinking. My first thought was of course the sighted people should help the blind people, but with these monsters roaming around and eating people, are the blind people just a waste of space at this point–or even way pray, a diversion for the sighted? I’m going to see if I can find an audiobook version of this story. I’ll bet whoever narrates it does it good job because the story is already so good! I loved this book and you’ve reminded me FF, I really must read more by Wyndham! This review – which I saw when I first discovered your blog – led me to read this book in January. I loved it and have recommended it to several folks! The Chrysalids is the only other I’ve heard of, but not read it. Maybe eventually!